Ryan Wong (right) of CLP’s Engineering Projects Department says his colleague Tsang Leung Ching has come up with an idea to improve the design and construction of CLP’s cable joint bays after seeing a drainage system in Thailand during his holiday. Cable joint bays are underground concrete chambers in which high voltage cables are connected. EnergyAustralia’s Customer Retention team wins the fourth Innov8@EA challenge with an idea to teach energy saving to schoolchildren. A lifting trolley developed by Fangchenggang Power Station employees for moving 100kg circuit breakers wins internal recognition. Jhajjar Power Station colleagues put forward ideas to improve the plant’s operational performance in the Professional Circle competition. As the world is still debating the origin of this quote, what we all agree is that innovation happens when people see things differently. It is for this reason CLP encourages employees to look beyond the ordinary and to find new solutions to carry our business forward. Senior Tradesman Tsang Leung Ching was on holiday in Thailand when he literally stumbled across a terrific idea. Cable joint bays are underground concrete chambers in which high voltage cables are connected. A good drainage system is essential to ensure the quality of cable jointing work and to provide a safe environment for workers. 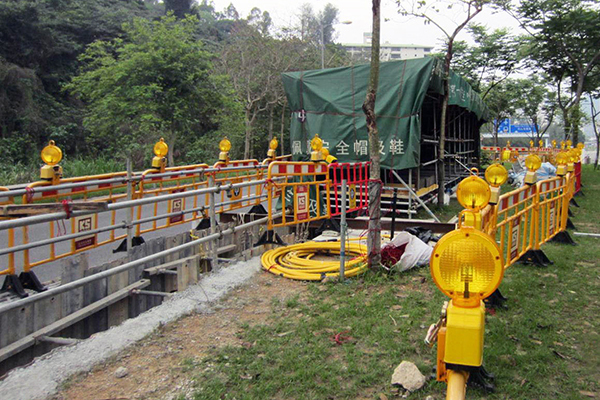 When he returned to Hong Kong, Ching shared his idea at a brainstorming workshop with colleagues including Ryan Wong of the Engineering Projects Department in Power Systems, who supervises the design and construction of cable joint bays. Ryan worked with Ching and other frontline employees to implement the simple idea, which won them the top prize in the innovation category of the 2018 CLP Grand Awards. The awards recognise and reward outstanding staff contributions that reinforce the company’s four brand pillars: customer excellence, community commitment, environmental protection, and power expertise. “In the past, workers used bricks and cements to build channels to carry away the underground water in the cable joint bays, which caused injuries as they could trip over the raised bricks,” Ryan explains. The breakthrough demonstrates how great ideas can come at the unlikeliest times – even when one is taking a shower on holiday. “When you are relaxed, that’s probably the best time to generate good ideas,” Ryan says with a smile. Household bills have shot up by 35% in Australia over the last decade and EnergyAustralia has been searching for ways to help customers reduce their costs by making better use of energy. As part of that search, Innov8@EA was launched in 2017 to encourage employees to put forward innovative ideas to address the various challenges faced by the company including better customer service, customer engagement, access to innovative products and services. Ideas are debated and fine-tuned before a selection process is held to choose the best ideas to put into action. For each challenge, a sponsor is chosen to come up with a topic. 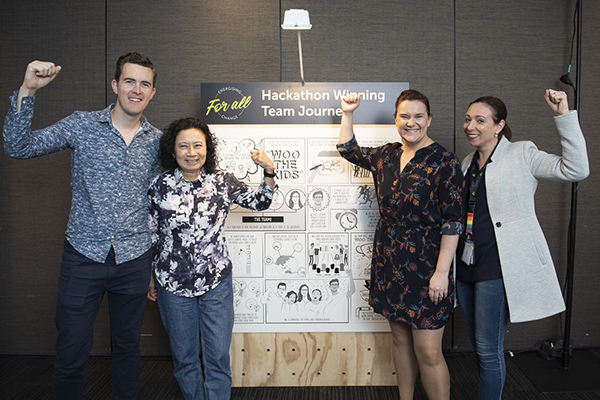 Then, after a fortnight of ideation, voting, and feedback through an online crowd sourcing platform, four or five ideas are selected to take part in a Big Pitch event, or “hackathon”, where a winner is chosen. More than 800 employees have so far registered on the Innov8@EA portal. Five challenges have been held, generating more than 150 ideas, 920 votes, and 500 comments. In the first Innov8@EA challenge, the winning idea came from Arun Sri Nanthakumar, who suggested EnergyAustralia could give renters access to solar power. He was assigned to an incubator team afterwards to further develop his concept, which is now going to trial with customers. At the fourth Innov8@EA challenge in September 2018, participants were asked to think of ways to help customers become more aware of their energy use. Twenty-seven ideas were generated and four teams formed to battle it out in a hackathon held a few weeks later. 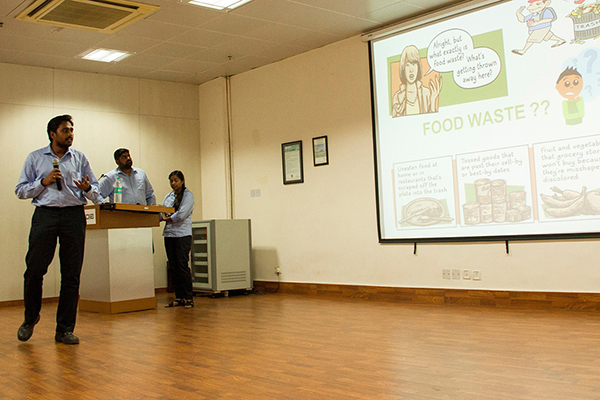 The winner was the Customer Retention team with an idea to teach energy saving to schoolchildren. “The idea is to go to schools and educate and engage with children so they practise mindful energy use,” says Retention Specialist Tina Choong, a member of the winning team. 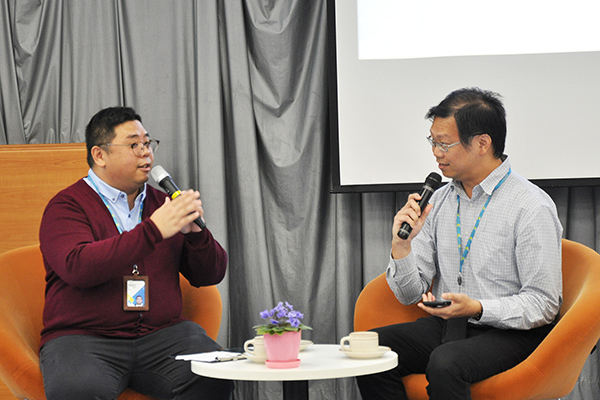 Ingenious ideas from employees have led to ground-breaking changes in the way our business operates in Mainland China since a brainstorming online platform was launched several years ago. Quality Control Circles, simply known as QCC among colleagues, aim to encourage frontline employees to put forward suggestions on how to improve our day-to-day operations by reducing workplace risks, improving productivity, and being more environmentally friendly. In 2018, 31 QCC projects were put forward from colleagues in our coal, solar, wind, and hydro power assets in Mainland China. They were then assessed by a panel of technical experts from different assets and the technical team of China Business Unit. A shortlist of projects was received by our Chief Operating Officer and six were selected for the QCC award. The proposals were judged on criteria including the level of innovation, the practicality of the ideas, their cost effectiveness, and their safety and environmental benefits. One of the outstanding QCC award winning projects is a lifting trolley designed and made by Fangchenggang Power Station employees for moving 100kg circuit breakers during maintenance, reducing the risk of injury to workers from manual lifting and potential damage to equipment. Employees at Jhajjar Power Station are being encouraged to think out of the box through a competition launched in 2017 called Professional Circle, which sees teams of two to four people put forward ideas to improve the plant’s operational performance. Ten teams joined the inaugural competition, putting forward written submissions and then taking turns to present their ideas to a panel comprising senior plant management. The results were highly encouraging. Of the 10 teams, five submissions were chosen to be published in a specially-produced journal. The journal will also include the top five ideas from the 2019 Professional Circle competition.